Considering blepharoplasty? 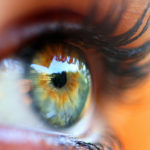 A person’s eyelids communicate more than one might think. We look to the eyelids to gauge whether a person is alert or fatigued, paying particular attention to drooping eyelids and puffy bags under the eyes. We also make assumptions about age based on the wrinkles on the eyelids. Blepharoplasty surgery can remove these wrinkles, excess skin, and bags, leaving your formerly drooping eyelids looking young and alert. During the procedure, the plastic surgeon will make a small incision and excise any excess tissue. You’ll be able to see the majority of the results of your blepharoplasty in a matter of weeks. Final results will be completely apparent within a year. Visit board-certified plastic surgeon Dr. Debra Kroll to plan out your blepharoplasty procedure and get those drooping eyelids fixed. To set up an appointment, contact our office. Blepharoplasty, also known as an eye lift, is a procedure that many people have heard of but not many know much about. It is primarily used to remove excess tissue from the upper and lower eyelids, leaving smoother, tighter skin. If you are getting this procedure done, it’s helpful to understand the eyelid surgery recovery process. Because the eyelid tissues are tender and weakened during healing, physical stress can make the eyelid surgery recovery process more difficult. During this recovery period, be sure to stay away from anything that would create a strain for at least three weeks. Find out more about blepharoplasty and the eyelid surgery recovery process by talking to Dr. Debra Kroll in her office. A board-certified cosmetic surgeon, Dr. Kroll is happy to answer any questions you may have. Set up a consultation with Dr. Kroll by contacting us today. Blepharoplasty will remove hanging skin from the upper and lower eyelids, making your face look younger. For two weeks following the procedure, your body will be experiencing the blepharoplasty recovery process. Because the tissues will be weaker during blepharoplasty recovery, do not take any medications that promote bleeding – mainly NSAIDs (non-steroid anti-inflammatory drugs) like ibuprofen and aspirin. Non-NSAID pain medications may be recommended by your doctor. Learn more about blepharoplasty recovery by paying a visit to Dr. Debra Kroll. Dr. Kroll is a board-certified cosmetic surgeon who will be happy to answer any questions you may have about the procedure and the recovery process. Contact our office to set up an appointment. Plastic surgeons often conduct procedures that correct facial features to reduce the appearance of age. One of these procedures is called an eye lift, also known as a blepharoplasty or eyelid surgery. During this, the surgeon eases away fine wrinkles and turns sagging skin into a thing of the past. Mild bruising and swelling are normal after the eye lift. 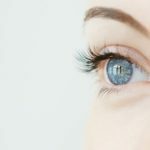 To help these issues subside, cold compresses are sometimes applied; once they issues are gone, you’ll be able to fully appreciate the results of the eye lift procedure. Interested in learning more about the eye lift surgery? Speak with Dr. Debra Kroll, an expert, board-certified plastic surgeon with years of experience. Set up a consultation by contacting our office. Beautiful skin is a mark of youth, just as sagging skin is an indicator of age. To attain beautiful skin in the eyelid area, it’s quite beneficial to get eyelid rejuvenation surgery, also called blepharoplasty or an eye lift. This surgery will erase fine wrinkles, reduce eye puffiness, and remove hanging skin tissue. Scars are a normal side effect of any plastic surgery, and eyelid rejuvenation surgery is no exception. However, the good news is that the incisions made during plastic surgery are extremely small and well-hidden. It’s best to make sure to practice proper scar care, always following your plastic surgeon’s instructions. If you’re in the market for eyelid rejuvenation surgery and have been thinking about plastic surgeons, consider Dr. Debra Kroll, a skilled, board-certified plastic surgeon serving the New York City area. Dr. Kroll has a great deal of blepharoplasty experience and looks forward to helping you achieve your aesthetic goals, so contact us today to set up a consultation. During a blepharoplasty, excess skin and fat are trimmed away from the eyelids. Depending on your aesthetic needs, you can either get your lower or upper eyelids lifted; you can also get a combination. After the blepharoplasty procedure, regardless of which eyelids are getting lifted, the incision(s) will be closed using medical sutures or surgical tape. If sutures are used, they can sometimes be dissolvable; in this case, you will not have to visit the surgeon to get them taken out at any point. The blepharoplasty procedure is very safe and will be performed with a great deal of attention given to your comfort and well-being. Learn more from a visit to our office. Board-certified plastic surgeon Dr. Debra Kroll has years of experience and a passion for the field. Contact us today to set up a consultation. Do you find it difficult to see as a result of sagging eyelid skin? This issue can be resolved with blepharoplasty, also known as eyelid surgery. When your upper eyelids sag to such a degree that it impairs your sight, you should get corrective blepharoplasty. The surgeon removes excess skin and tightens the eyelid area, restoring a clear line of sight. And because it’s a functional surgery, your insurance company may be able to partially compensate you for it. Discuss the blepharoplasty procedure with a board-certified plastic surgeon like Dr. Debra Kroll. Dr. Kroll will work with you to make sure your functional needs and cosmetic goals are met. Contact our office to set up an appointment.